I adore going to food shows – getting to meet my foodie idols, geek out on the latest kitchen gadgets, try all sorts of free samples and of course I always end up spending too much money. Last year I was fortunate enough to collaborate with the lovely folks at The Cake and Bake Show where I manned their Instagram account for one day at their show in Harrogate and this year the BBC Good Food Show have asked me to join in with their Bloggers Program. Now initially I was unsure as baby is due in a matter of weeks but it gives me something other than baby to focus my mind on. Last year I also went to the BBC Good Food Show when it came to Harrogate with my CCC friend Sam and we had such an amazing day. We stuffed ourselves silly with free samples, got to watch a fabulous demo by Paul and Mary and even got to meet them and the Hairy Bikers too at a book signing. I was definitely star struck many times during that day – who knew Paul was so short? Now I’m not exactly tall at the grand old height of 5’4” but he gives off such a domineering presence I really expected him to tower over us all. Mary was a sweetheart who spoke to each and every one of us at the book signing (and there were a lot of people there!) and the Hairy Bikers were exactly like you see on tv – happy, jolly and chilled out. This year The BBC Good Food Show Spring will be at Harrogate once again from the 8 - 10 April 2016. We are hoping to go with a one month old in tow (am I mad? Maybe….) but I’ve been persuading Mr T it will be a nice way to get out of the house for a couple of hours and Harrogate is only 20mins away from us. For the first time at the Show, Michelin starred chefs Michel Roux Jr. and Tom Kerridge will be demonstrating delicious dishes alongside The Hairy Bikers and Paul Hollywood. Now I went to the Paul and Mary demo last year and I would strongly recommend going to one. It’s great fun and a good way to escape the crowds for half an hour. WHSmith will also be there with their Book Shop – I “may” have bought a book from here last year even though I’ve already got a huge cookbook collection. I blame the Hairy Bikers and them doing a book signing haha! It’s so nice to have one of these shows come up North and to Harrogate too. Usually everything is in London or if they do come up here it usually involves traipsing to Manchester or Birmingham so having it in good old Yorkshire is a lovely treat. Also there’s a Bettys in Harrogate so you can finish your day off in style (well that’s what Sam and I did last year). If you fancy going to the show in April, tickets are on sale now. I have been gifted with a 20% off code for you lovely lot – BL20. *20% off Adult/Over 65s tickets only. Not valid on VIP or with any other offer. Ends 10/4/16. Standard Supertheatre seat included with Super tickets, subject to availability, Gold seat upgrade £3. Offer valid on Value tickets where available. Details correct at time of print. £1.50 fulfilment fee per advance order. Good Food® Good Food Logo © BBC Worldwide. Organised and presented by River Street Events. 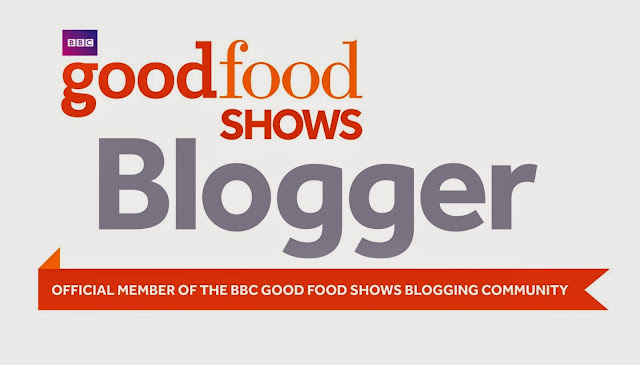 Visit www.bbcgoodfoodshowspring.com for more information. I just totally geeked out at Michel Roux Jr, I love him :) sounds amazing!